In our book Cracking the Creativity Code: my friend and co-author Arie Ruttenberg and I present a framework for creativity called ZiZoZi – zoom in (on the problem), zoom out (to find solutions), zoom back in to apply them. Repeat as needed. “…. [creative] individuals are excellent woolgatherers. When tackling a problem [according to cognitive scientist Liane Gabora, U. of British Columbia, and Scott Barry Kaufman, psychologist at NYU], they first let their minds wander, allowing one memory or thought to spontaneously conjure up another. [Zoom Out]. “This free association encourages analogies and gives trise to thoughts that break out of the box. Then as these individuals settle on a vague idea for a solution, they switch to a more analytic mode of thought. They zero in on only the most relevant properties, Gabora says, and they start refining an idea to make it work. [Zoom In]. 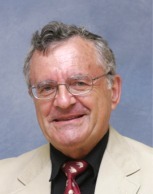 Gabora believes that as hominoids developed bigger brains, this led to a greater ability to ‘free associate’. More stimuli could be encoded in a brain made up of many billions of neurons. More neurons could participate in the encoding of a particular episode, leading to a finer-grained memory and more potential routes for associating one stimulus with another. The key seems to be the word “associate”. Creative people link things that other people find totally unrelated. These ‘leaps’ of insight occur in brains that are good at making such connections. And the more we practice, the better we get at it. Is it possible that public companies have outlived their usefulness? An article in The Economist, “Reinventing the company”, makes this point. Here is an example of an insurgent company – a huge one, Alibaba, founded by Jack Ma in 1999 – a Chinese public company, of all things, listed in America. Run that by us again? Alibaba exists for the long-term good of society? Alibaba wants to help millions of small American businesses sell their goods globally? (How come AMERICAN companies haven’t said the same, or done the same??). U of Chicago Professor Milton Friedman and his group of free-market economists fiercely criticized companies that donate money to charity, saying the money belongs to shareholders, and is not the company’s to give away. We have seen where THAT kind of capitalism leads. Perhaps capitalism is evolving, in a positive direction, after all. What in the world is a VUCA world? 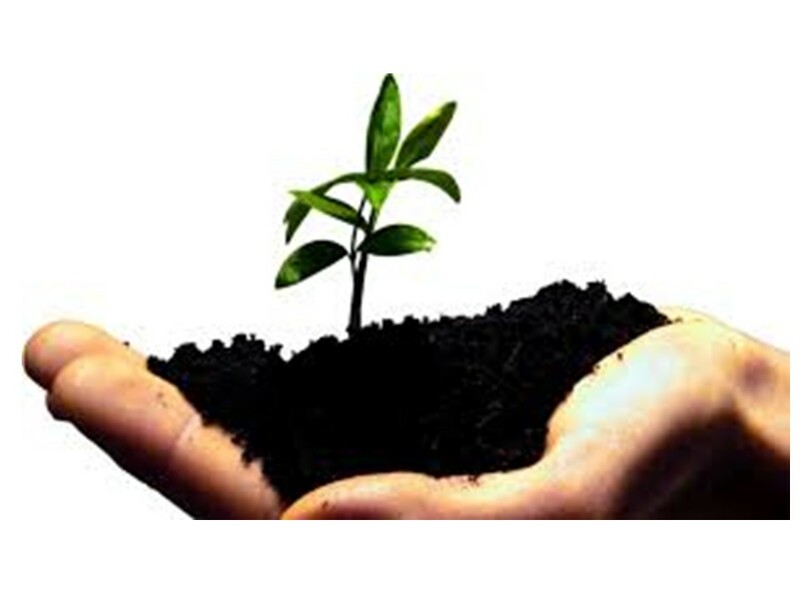 VUCA is an acronym, standing for volatility, uncertainty, complexity, and ambiguity . And daily, the world seems determined to prove how increasingly VUCA it is! Moments of confusion can be pretty memorable, and not in a good way. How is this thing supposed to work? What is the teacher’s point? Where am I, and how do I get to where I am going? 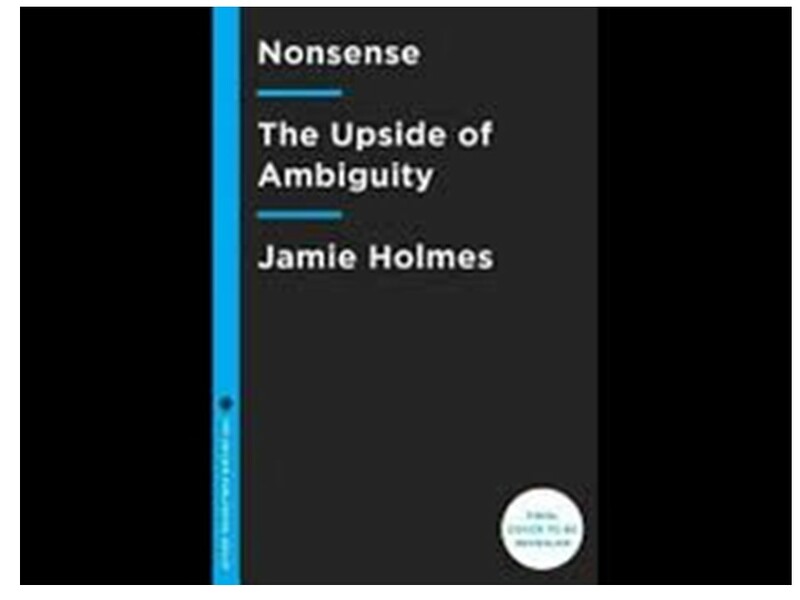 But confusion is greatly underrated, argues the journalist Jamie Holmes in his new book, “Nonsense.” Naturally, it is good to understand. Yet, Holmes writes, our discomfort with not knowing can lead us astray — to bad solutions, or to brilliant options never spotted. If we could learn to embrace uncertainty, we’d all be better off — and better prepared for modern life. In hiring, for instance, a high need for closure (a clear firm yes/no decision) leads people to put far too much weight on their first impression. It’s called the urgency effect. In making any big decision, to counteract that, it’s not enough just to know that we should take our time. We all know that important decisions shouldn’t be rushed. The problem is that we don’t keep that advice in mind when it matters. Before making important decisions, write down not just the pros and cons but what the consequences could be. Also, think about how much pressure you’re under. Are you tired or feeling rushed? If your need for closure is particularly high that day, it’s even more important to be deliberate. I absolutely agree. Never EVER let pressure from others rush your decisions. Take a deep breath. Say to yourself, YOUR crisis is not necessarily MY problem. In our schools — do we equip our children to deal with a VUCA world? Or is the world we create for them one of canned tests with right and wrong answers, where you must not be wrong ever? If the world is grey, rather than black and white, why does that color never appear in our schools? In 2011 and 2012 I blogged about pop singer Lady Gaga twice. Once about her passion and connection with her fans (she records songs after long exhausting performances, capturing the intimate link with her audiences) and once about her foundation. Apparently even serious NYT columnists like Nicholas Kristof and David Brooks share my interest. Today’s International New York Times has a wonderful David Brooks column about Lady Gaga, who was given an award together with Sophia Loren, Herbie Hancock and other main-line celebs. I think we can all learn from this flamboyant pop singer known as Lady Gaga (whose real name is Germanotta). Be yourself. Be fearless. Try things. Get through the fog of fear and uncertainty to the otherwise, to the shores of Creativity Land. Be like Gaga. It’s worth a try. 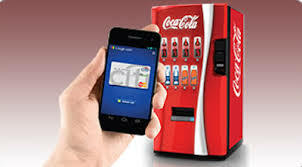 In 1982, engineers at Carnegie Mellon University, in Pittsburgh, Pennsylvania, built a Coke machine connected to the Internet (or the existing network – Internet did not yet exist), that could report how many Cokes had been sold and how cold they were. This was perhaps the birth of what we know now as the Internet of Everything – everything, everyone, connected, everywhere, all the time, by Internet. By 2025, only 10 years from now, some 25 to 50 billion devices will be connected – cars (self drive), fridges, people, computers, machines, virtually everything. Great? A new 20 trillion dollar industry? Jobs? Happy people? Perhaps. But the downside could be, a sharp decline in people’s social skills. When things talk to each other, people need not. And social skills, society, collaboration, community, friendship, helping others, this is what makes us human, what keeps the world more or less together. 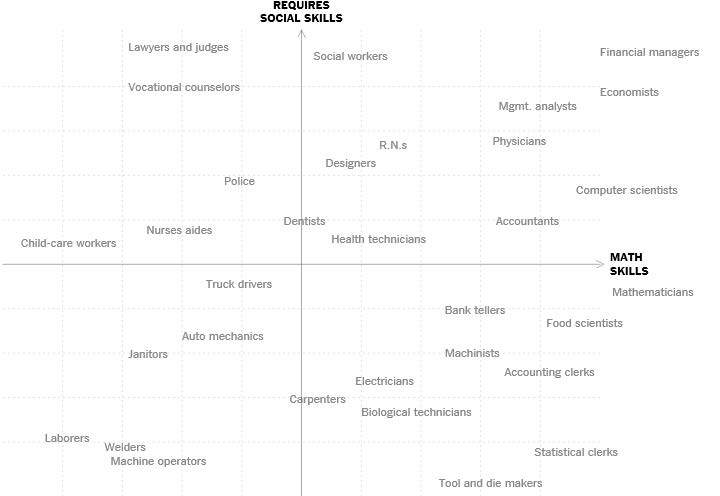 Writing in the New York Times, Oct. 18, Claire Cain Miller makes a key point: “Occupations that require strong social skills have grown much more than others since 1980”. 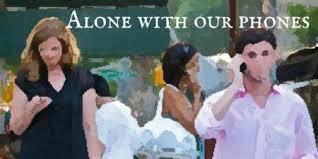 Yet cultivating those social skills is on the decline, in schools focused on homework and tests. Increasingly, worldwide, even kindergarten kids are getting homework, instead of time to play. The graph below shows how crucial social skills are in the kind of jobs that are coveted. We recently visited Touchstone Community School in Grafton, MA. We spoke with Cheryl and Tamara, who teach young children. We shared recess with the kids, and romped in big grassy fields, threw frizbees and learned to do cartwheels. We saw how vital recess, and play, are, for young children. And above all, we saw how easily very young children related to us, strangers, called us by first names (a Touchstone touchstone), asked how we are, what we are doing, and even interviewed us. Those social skills did not just happen. They were cultivated. And they grew especially in playtime, in recess. We saw an older boy play with a wheel device, and a small child stood in front of it. The natural instinct: shove him aside. What the boy did? Gently put his hand on the small child’s shoulder, explain to him that he was in the way, and ask him if he would please move aside. THAT is a social skill. Perhaps as important as knowing 8 times 9 is 72. Technical skills can be automated, the author notes. But social skills? We have to learn them, make them a part of our social DNA from an early age. Pre-kindergarten is crucial for this. We must do everything to preserve the ‘soft’ skills learned in school, because they are the ones that are ‘hard’ to acquire later, and make us employable. 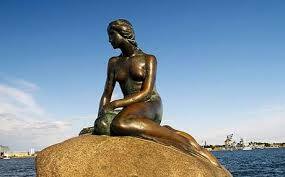 Shakespeare’s famous line, “something is rotten in the state of Denmark”, from Hamlet, needs amendment. These days, very little is rotten there, and other countries can learn much from it. But are they? Paul Krugman’s latest New York Times column doubts it. How many times does this have to be said? A nation CAN take care of its people – its unemployed, jobless, skill-less, college students, children, sick, mentally ill – while paying for it through taxes (not deficits), and maintain a happy growing economy. The rich? They will pay taxes and not change their behavior on jot. There is no reason for any political system to pander to the rich, even though they use their funds to buy political influence. Worse, it is unsuited for the modern workplace. Information is now ubiquitous. You can look up any fact on your phone. A computer can destroy Ken Jennings, the world’s best “Jeopardy!” contestant, at a game of information retrieval. Computers can write routine news stories and do routine legal work. Our test-driven schools are training kids for exactly the rote tasks that can be done much more effectively by computers. 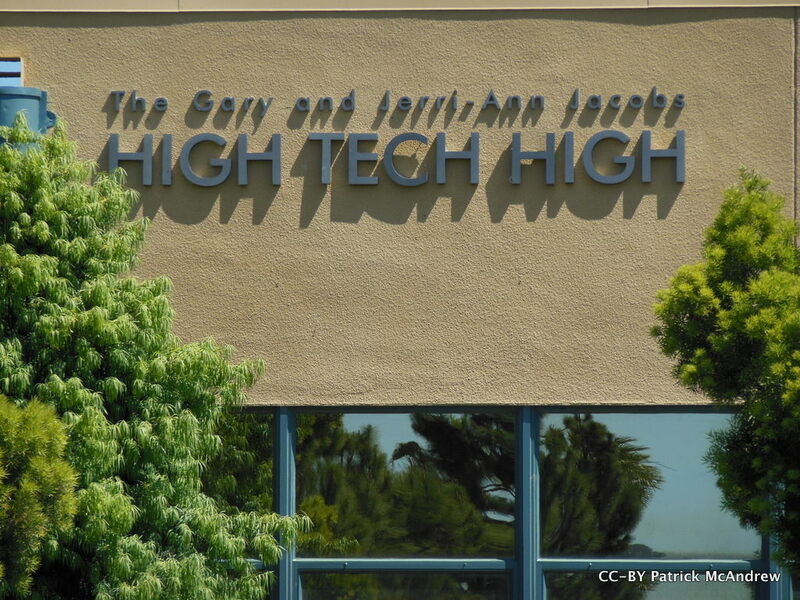 In High Tech High….There are no textbooks, no bells… Students are given group projects built around a driving question. One group studied why civilizations rise and fall and then built a giant wooden model, with moving gears and gizmos, to illustrate the students’ theory. Another group studied diseases transmitted through blood, and made a film. “Most Likely to Succeed” doesn’t let us see what students think causes civilizational decline, but it devotes a lot of time to how skilled they are at working in teams, demonstrating grit and developing self-confidence. There are some great emotional moments. A shy girl blossoms as a theater director. A smart but struggling boy eventually solves the problem that has stumped him all year. In the school, too, teachers cover about half as much content as in a regular school. Long stretches of history and other subject curriculums are effectively skipped. Students do not develop conventional study habits. Brooks is not uncritical of High Tech High. In this blog, I have also made the point that in order to foster creativity, you cannot discard the hard tough discipline of mastery – mastering old knowledge, while thinking about how to create new. Brooks echoes this thought. The cathedrals of knowledge and wisdom are based on the foundations of factual acquisition and cultural literacy. You can’t overleap that, which is what High Tech High is in danger of doing. “Most Likely to Succeed” is inspiring because it reminds us that the new technology demands new schools. But somehow relational skills have to be taught alongside factual literacy. The stairway from information to knowledge to wisdom has not changed. The rules have to be learned before they can be played with and broken. This is worth repeating. Innovation is INTELLIGENTLY breaking the rules. In order to break the rules intelligently, creatively, first you have to learn them. You have to know physics, to engineer wonderful new devices. 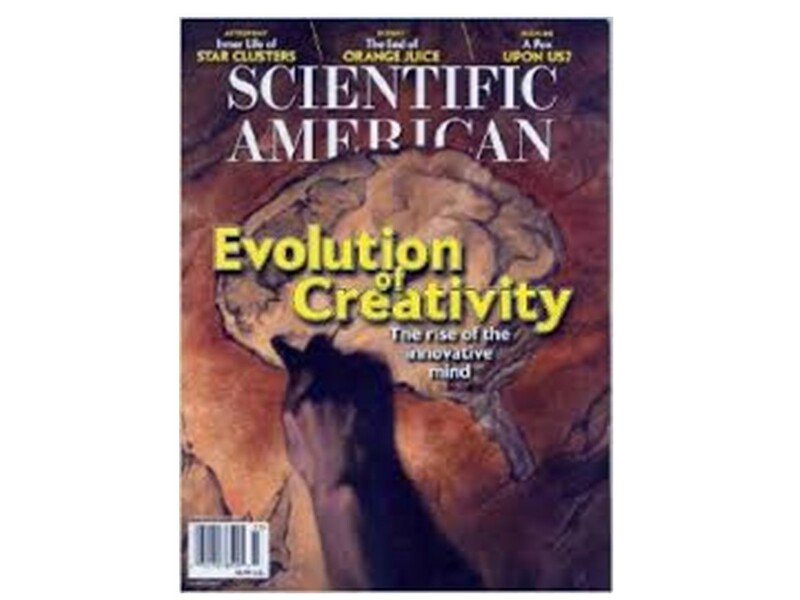 The key is, can we teach physics, without ruining the creative spark in those we teach? Remember the Name! 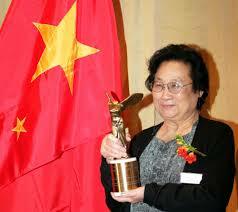 Tu YouYou, Nobel Laureate! Remember the Name! Tu YouYou, Nobel 2015! Chinese scientist Tu Youyou has won China’s first Nobel Prize for Science – other ethnic Chinese have won Nobels, but Dr. Tu is the first to win one for work done entirely within China – and under really touch circumstances. Tu is 84 years old. She did her work under Chairman Mao. During the cultural revolution, engineers and scientists were suspect. Her husband, an engineer, was sent to the country to work on a farm. Tu was allowed to do her research, only because Mao wanted to find a remedy for malaria, which was afflicting North Vietnam soldiers during the Vietnam War. Tu sought a remedy in traditional Chinese medicine, found promising candidates, then did proper scientific trials on them, until she narrowed the field down to what is today known as “artimesinin”, a key element in anti-malaria medicine today. Her discovery, part of Mao’s “Project 523”, has saved countless lives. There must be a great many more wonderful rememdies hidden in traditional Chinese medicine, waiting for proper clinical trials. Congratulations, Tu Youyou. Your work was done “to you”, “for you”, for the millions who die of malaria, especially children. Well done! Many more Chinese Nobel prizes will follow, I’m sure. 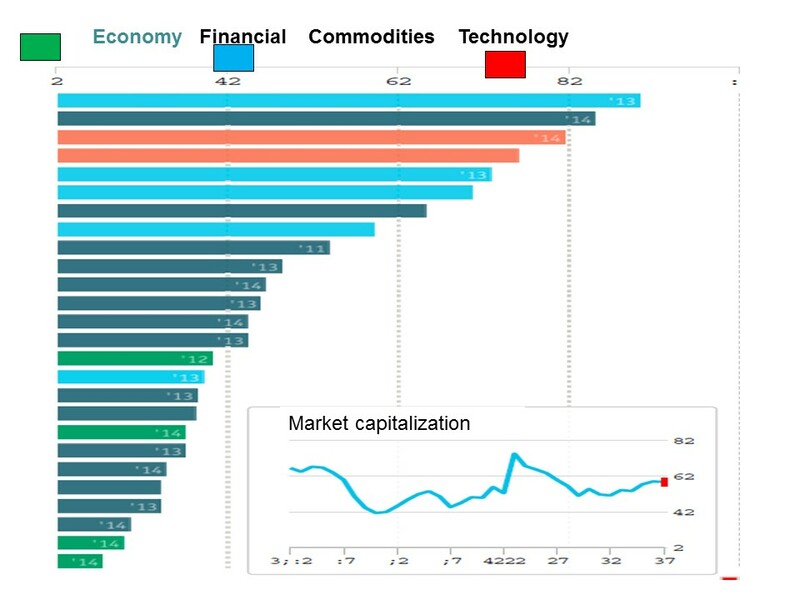 An excellent graphic by The Economist (daily chart) lists a variety of economic, financial and technological indicators for the U.S. as a share of the global total. America leads firmly in venture capital investments, and the U.S. dollar is still 60 per cent of total world forex reserves. In technology, the U.S. leads firmly only in “social media’ (which does not generate jobs, only wealth for a handful) and “cloud hosting” (similar to social media). Most of the indicators in which America dominates are financial in nature. US dollar share of bonds, R&D spending, FDI stock, debt, etc. So here we have it. The U.S. is still the financial leader of the world, but not the technology or economic leader. There is a serious mismatch. So the question arises: Can the U.S. remain the center of financial stability of the world? Or will its flagging economy weaken the dollar and the whole world system? Are we due for another crisis? In history, no power has remained dominant in finance without remaining dominant in economics (note the decline of the British empire and its industrial power, and the decline of the pound sterling).